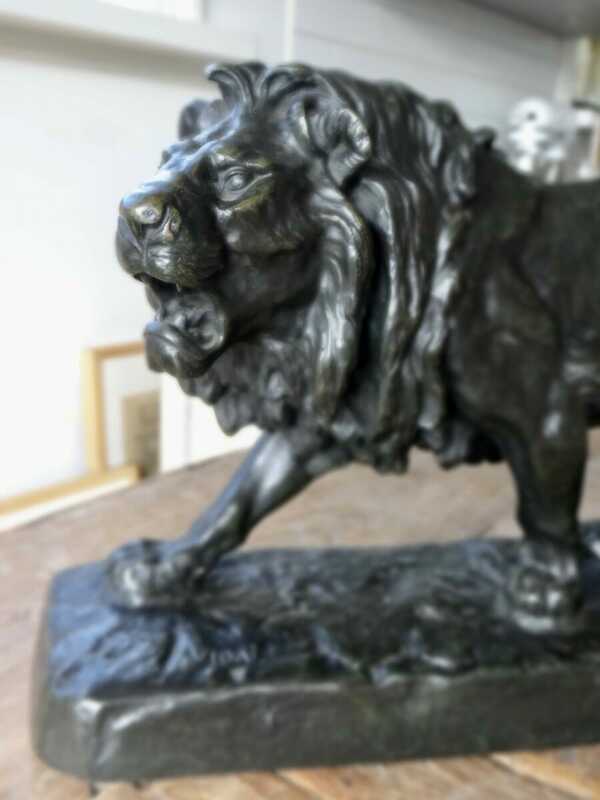 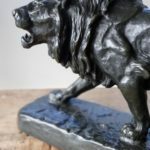 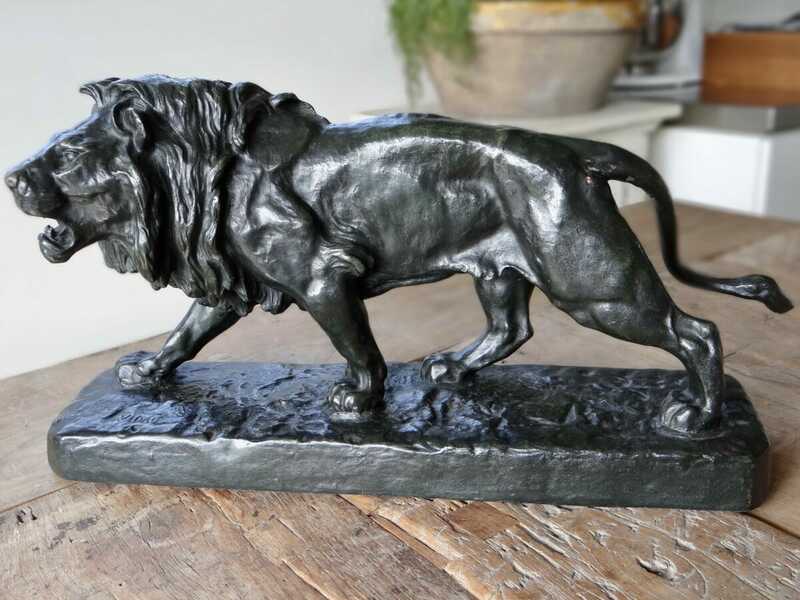 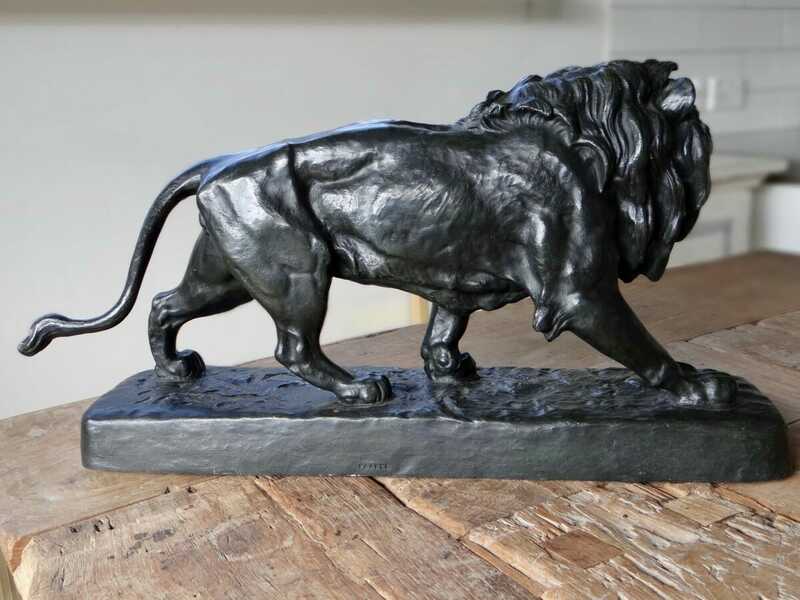 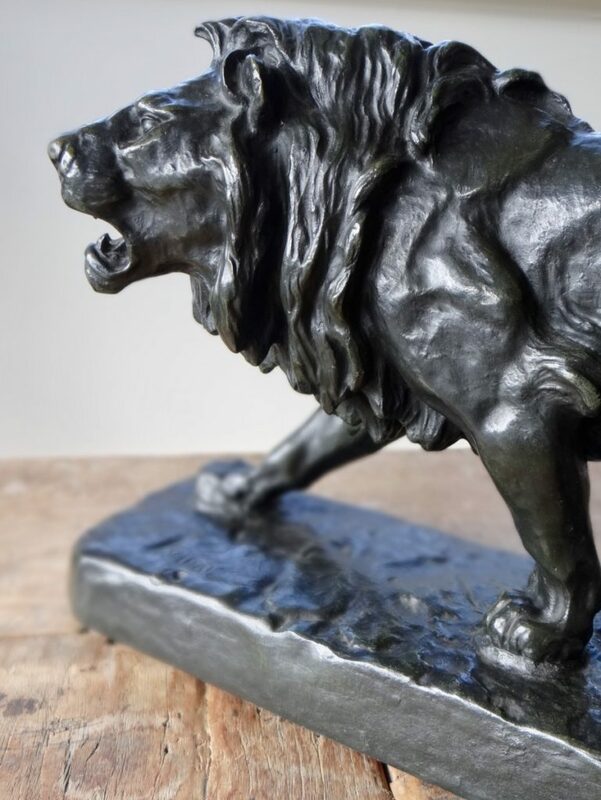 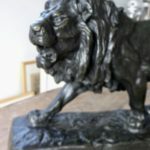 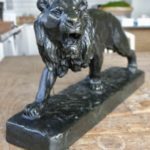 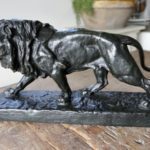 A wonderful patinated bronze lion, Le Lion, by the French animalier sculptor Louis Vidal (c.1874). 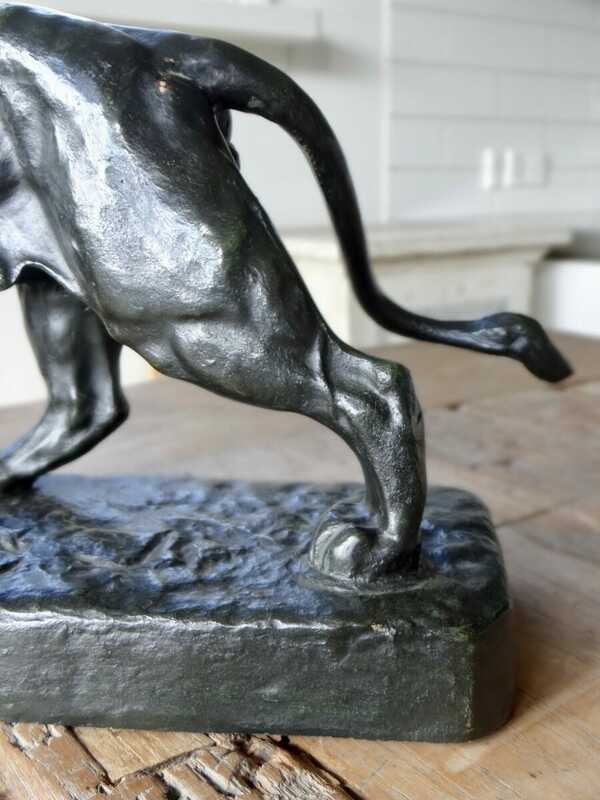 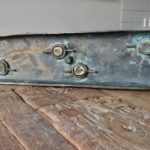 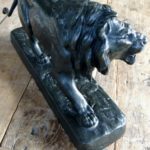 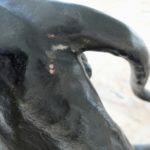 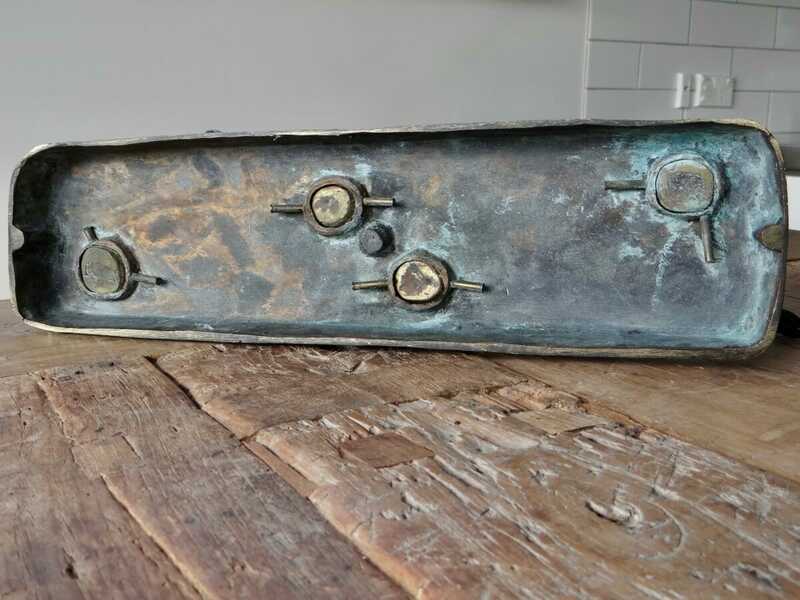 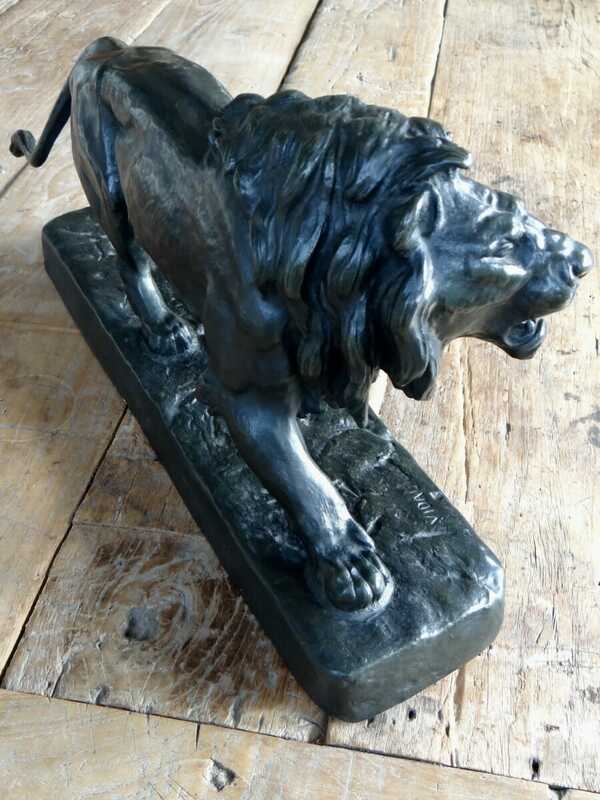 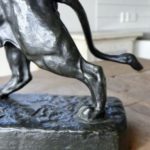 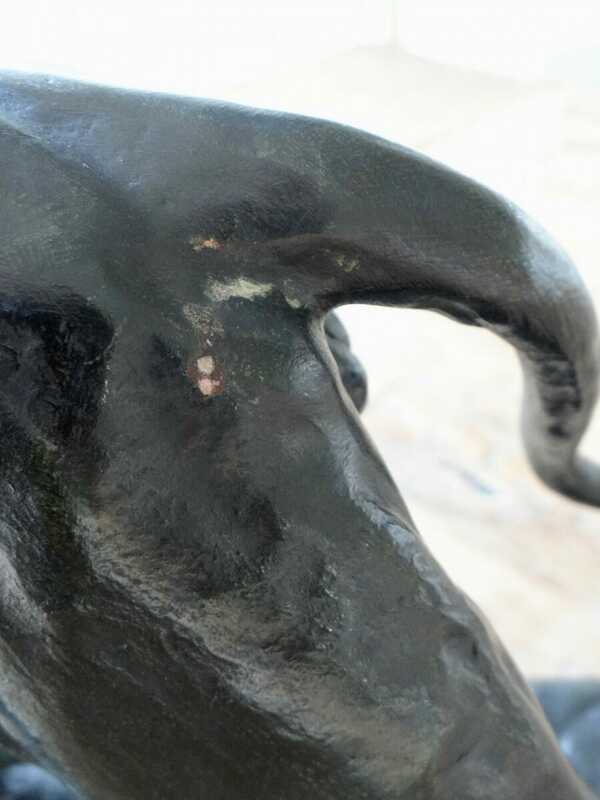 The sculpture is signed ﾓVIDALﾔ near the front right foot and stamped FRANCE to the back.This bronze sculpture was cast after Vidalﾒs plaster lion that was exhibited at the Paris Salon in 1868. 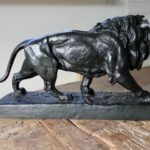 Reportedly, Vidalﾭs mentor, Barye, introduced him to a lion at the Jardin des Plantes zoo in Paris, and Vidal was allowed to run his hands over the cat in order to visualize his subject. 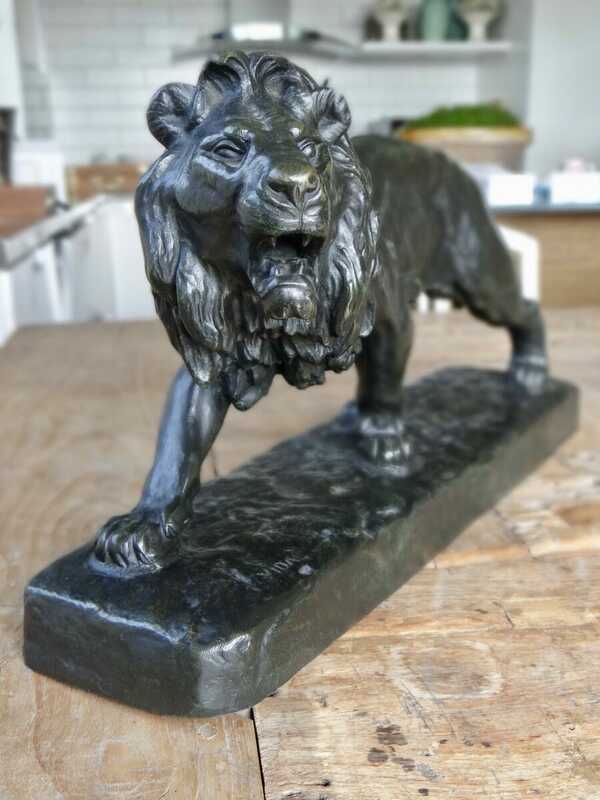 Louis Vidal (1831-1892) was a French sculptor born in Nimes. 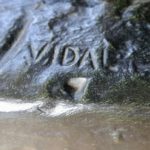 Vidal contracted a disease as a young child that left him progressively blind. 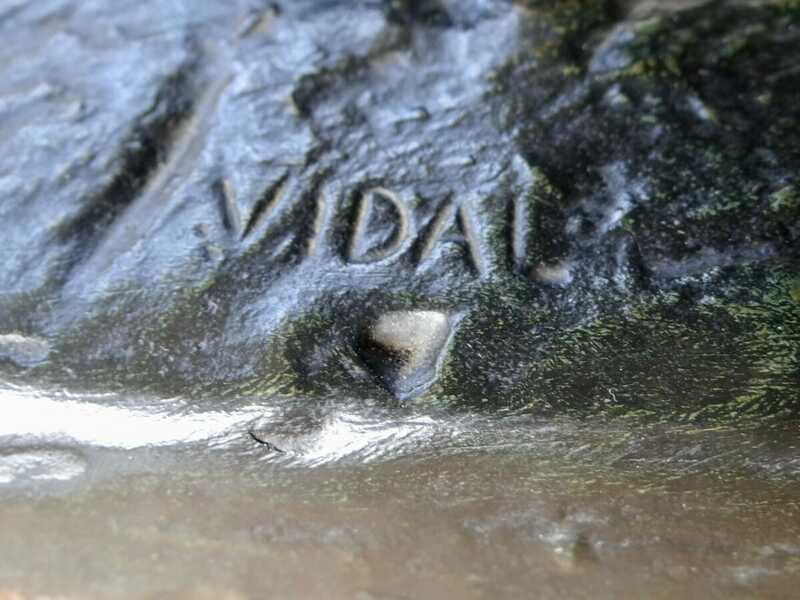 Vidal would sign many of his scuptures ﾓVidal aveugleﾔ or ﾓVidal the Blind.ﾔ His work was exhibited in fine European salons and had the backing of many patrons.In 1888 Vidal became a professor of modeling for the Ecole Braille in Paris.His production was limited, and only a few of his plaster models were cast in bronze editions.